Download application form for SLIC State Life Insurance Jobs 2019 Via PTS from here. Last date to apply is 15th April, 2019. Total Number of Posts are 599. The State Life Insurance Corporation of Pakistan, commonly known as State Life or SLIC, is the largest life insurance company of Pakistan. It maintains an agency network of around 200,000 sales personnel and is one of the largest companies in Pakistan by assets. Although the major function of SLIC is to carry out life insurance business, it is also involved in other business activities such as investment of policyholders’ fund in government securities, stock market and real estate. 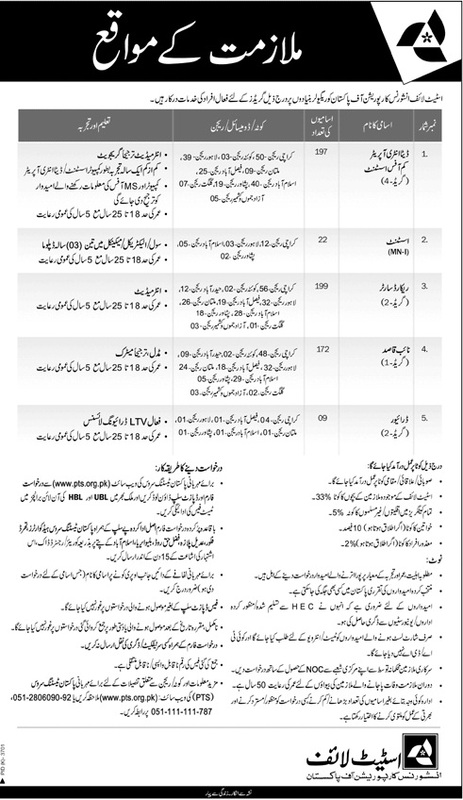 State life of Pakistan requires services of energetics persons for the posts in SLIC State Life Insurance. The posts in SLIC are on regular basis. All those candidates who have the require qualification and skills and are eligible for the SLIC State Life Insurance Jobs 2019 Via PTS must apply to grab this golden opportunity. 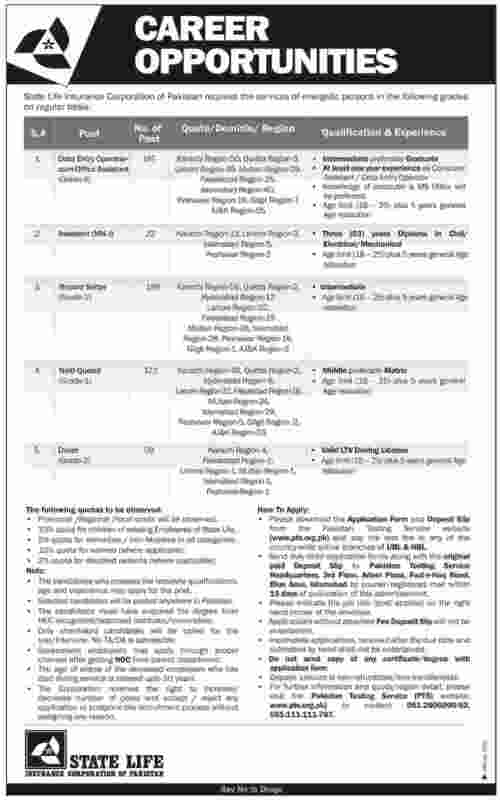 Applying procedure as well as other requirements for the jobs in State Life Insurance Corporation of Pakistan are mention below. How to Apply For SLIC State Life Insurance Jobs 2019 Via PTS ? Candidates can download the application form the PTS website. Application form is also available here. PTS test fee can be pay in any branch of HBL, UBL. Department has the right to increase or decrease or cancel the recruitment process with out any notice. Last date to apply is 15th April, 2019.